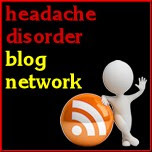 Migraine Monologues: Champagne Migraine Diet! The visit to the Dietician (which I'll write about properly) did result in me cutting out gluten, and as I already don't do dairy, I think it only fair to add in more Champagne. I'll let you know the results of this most scientific and serious of experiments one day soon. Good weekend. 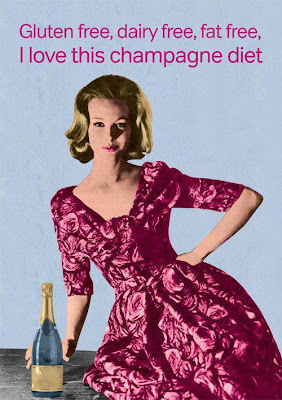 p.s I must add that the Dietician did not suggest the "Champagne Migraine Diet" - it is entirely a creation of my own genius! 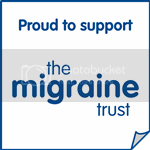 Please don't all get drunk - alcohol really can trigger a lot of migraines. Drink responsibly. this is the most UNUSUAL blog post I have come across.I totally believe your experience and we who suffer must try anything and everything. Thanks for adding the last remark about not getting drunk. Actually I'm not regular drinker. But I wandered to see the news that "Champagne Migraine Diet". It influenced me to take "Champagne" for diet control. For details information I've visited your website and truly there are so much writing this article has on it. Thanks for this wonderful post. Serena Williams - Migraine Champion! Stomach Spasms, The Dietician and Me.